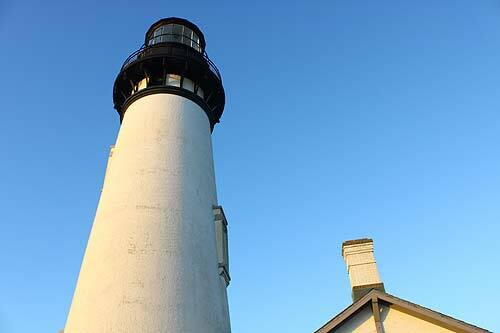 (Newport, Oregon) - The tallest of the lighthouses on the Oregon coast sits in Newport: the Yaquina Head Lighthouse. It's not only the highest at a soaring 93 feet, but it's the oldest (that's still being used as a light) – and there are some equally tall tales surrounding the landmark as well. 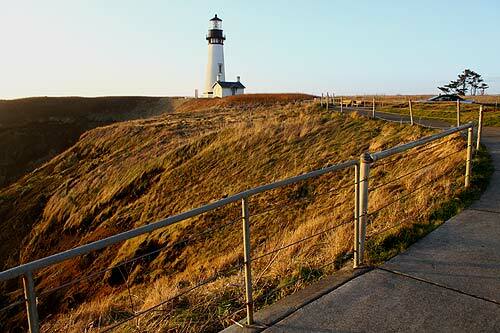 The Yaquina Head Lighthouse first sparked to life in 1873, and the keeper's quarters was built that year as well. 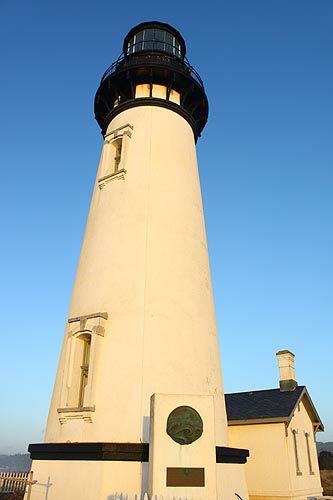 Those were demolished in 1984, but the BLM – which manages Yaquina Head – allows you to amble up the 114 steps to the top and take a peek at the wowing vistas from the point of view of the lens. 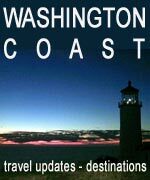 There has been considerable debate over the last 100 years or so whether Yaquina Head’s lighthouse was accidentally built in the wrong place. 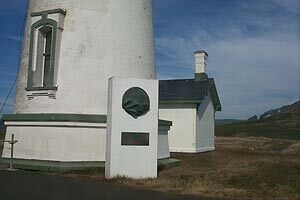 Supposedly, the theory goes that due to some typographical error in the plans, it was built there instead of towering Cape Foulweather, about 10 miles north. 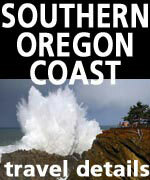 Not so, says Scott Gibson, producer of the documentary “Oregon Lights” (which is now for sale on DVD). “Basically, there's no reason a lighthouse as tall as Yaquina Head would need to be placed high atop Cape Foulweather where it would be in the fog line much of the time,” Gibson said. 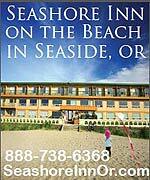 The lighthouse underwent a major renovation from 2005 to 2007. 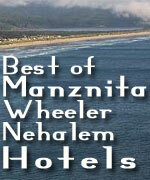 It was closed to the public for about seven months during that period. The exterior and the oil house at the top were repainted, and parts of the iron at the top were replaced and refurbished. The glass surrounding the lens room was replaced, and the tower roof and roofs of other buildings were repainted as well. The colors of the lighthouse were returned to its original black during the remodel. For much of the two years, the lighthouse was covered up in giant sheets of plastic, and looked a bit like a missile silo or a massive quarantine effort.